New York City is home to some of the best schools in the nation. Along with Columbia, Fordham, and Julliard, New York University (NYU) sits among the top universities the region has to offer. NYU is also one of the largest universities in NYC, attracting thousands of students for group tours and large-scale events like academic conferences and research symposiums. If you’re planning a trip to visit NYU, choose National Charter Bus as your go-to group transportation service. Renting a charter bus will give your group a comfortable and simple travel experience while touring the campus or attending an academic event. To find a minibus or full-sized coach for your NYU trip, call us anytime at 718-233-4974. 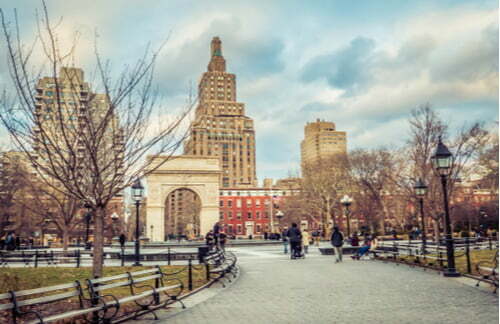 New York University is primarily located in the trendy Greenwich Village neighborhood of Manhattan and is the largest private research university in the country with around 50,000 students enrolled each semester. The school is ranked as one of the best universities in the nation and is also globally regarded as a top-quality institution. 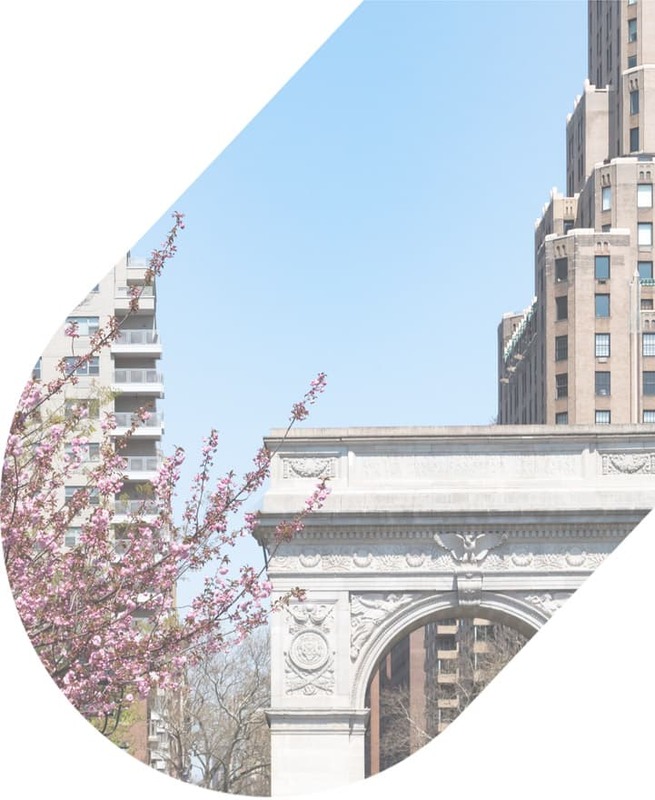 To speak to NYU’s popularity among students internationally, the university received over 75,000 applications in fall 2018. This exceeded any other number of applicants for private universities across the country. With over 400 programs across over a dozen sub-colleges and divisions, NYU has a diverse roster of classes for students interested in a range of fields. 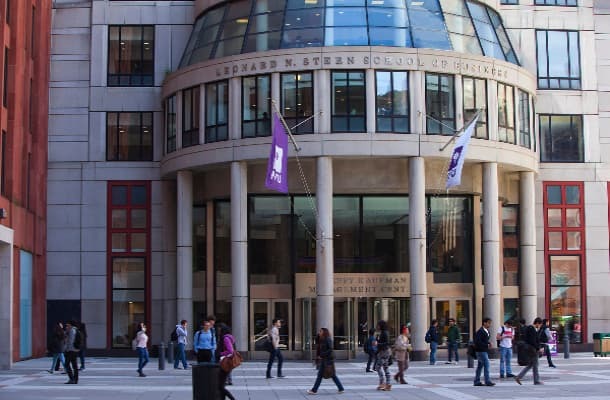 Some of the most popular programs include visual and performing arts majors at the world-renowned Tisch School of the Arts and business programs in the top-rated Stern School of Business. NYU has produced some of the most successful alumni among the nation’s higher education institutions, including red carpet faces like Martin Scorsese, Angelina Jolie, and Lady Gaga. Along with churning out Academy Award winners, Nobel Laureates and Grammy winners, NYU is among top universities globally for producing alumni worth over $30 million. The NYU campus is unique in that it is truly an urban campus with little separation between the school’s campus and the surrounding neighborhood buildings. Touring the campus with a group offers high-school students and community organizations a special experience. 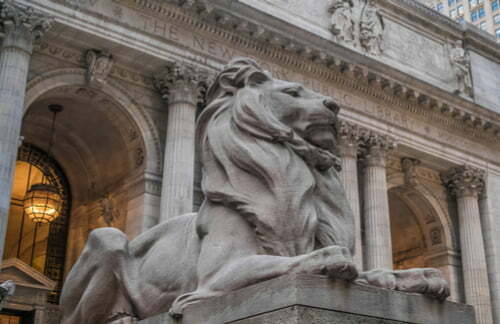 Each group tour must include at least 15 students and be scheduled at least 6 weeks in advance due to NYU receiving a high-volume of tour requests. Each hour-long tour begins at the Bonomi Family Admissions Center and is led by a current NYU student ambassador. A full-sized motorcoach from National Charter Bus will get your group around the Village safely, comfortably, and in a timely fashion. Public transportation is popular in New York City but may be difficult to traverse for large school groups or organizations traveling for a tour, while old traditional school buses can be exceptionally uncomfortable. The motorcoaches in our network include modern models equipped with up-to-date safety features and additional amenities like WiFi, panoramic windows, televisions with DVD players, on-board restrooms, and more. Your tour group won’t need to worry about losing anyone while taking on the subway system or feeling cramped and muggy on an old school bus. Chartering group transportation is also perfect for field trip groups traveling from out-of-town locations like Newark, Philadelphia, or even Boston. No matter where you’re traveling from, your group can rely on National Charter Bus and your professional driver to handle the entire transportation process. Renting a charter bus will give students and chaperones a better travel experience while traversing the busy NYC roads. Your entire tour group can focus on learning about the university rather than worrying about the logistics of getting to and from campus. Similar to many other locations in NYC, parking at NYU is a hot commodity. With a private bus, everyone can easily be dropped off near the admissions office for your tour rather than struggling to find parking accommodations in a garage. Beyond group tours, renting a charter bus can be an efficient mode of transportation for visiting conference attendees and symposium groups. If you’re an academic group traveling cross-country to NYU for a big event, National Charter Bus can provide airport shuttle services with a compact minibus or a spacious coach from JFK, LaGuardia or even EWR in Newark. Using public transportation to get a large group from either JFK or LaGuardia can be a hectic process, especially if you’re not familiar with the public transit system. The professional drivers in our network are well-versed in the art of navigating busy NYC roads. Everyone will arrive at the NYU conference and nearby lodging without a hitch. Even if you’re in NYC to tour colleges, it’s important to visit some of the best local spots that the city has to offer. Explore neighboring areas like East Village, Chelsea, SoHo, and more after exploring the NYU campus around the Village. 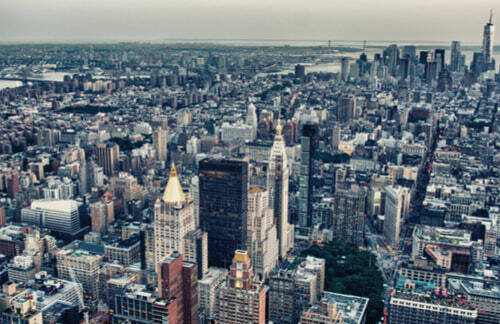 Are you ready to reserve your private transportation to NYU and the rest of the big city? We’re here to help you organize your transportation 24/7. When you call us at 718-233-4974, our rental experts will provide you with a personalized quote for your unique itinerary around NYC. Don't hesitate to call us today for your no-hassle quote!